My crappy bike (Aldo Cadenazzi) was squeaking for the last two days. Then today the stem broke. Luckily I was very slow when it happened. Just replace it. The part is called quill stem, it is not threadless-compatible, and it is still widely used. The only type of quill stems I heard of have 1 inch diameter, so you can just find one that is of the same/similar height and length. The simplest is to take it to a local bike shop and they will do it for you. If you want to replace it yourself, get a wrench that can undo those two bolts at the top of your picture (hard to tell, but I think it is something in 12 - 15 mm range). Unscrew the stem from the frame and from the handlebars; grease the new stem's shaft that goes into the fork with any sort of machine oil/grease you have; then screw it back into the fork and attach the handlebars. It may happen that the fork-stem surfaces have rusted together if no grease was used at installation time. In this case, you will have a hard time removing the stem. Look for advice on this site how to help it. Not the answer you're looking for? Browse other questions tagged stem or ask your own question. Switching from a quill stem to an stem adapter? 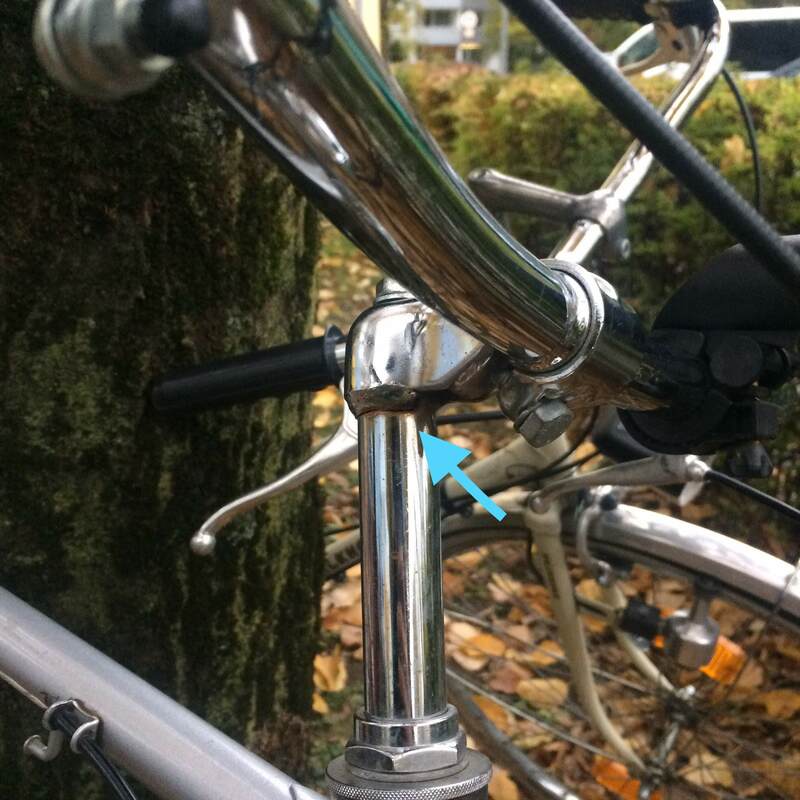 Broken stem tube – LBS “just” lowered handlebars. Is this safe? How to read stem measurements?